Please do not attach quilt top, batting, and backing fabric in any fashion. Quilt top and backing must be brought in as separate layers. I offer batting for your convenience and will not accept personal batting. 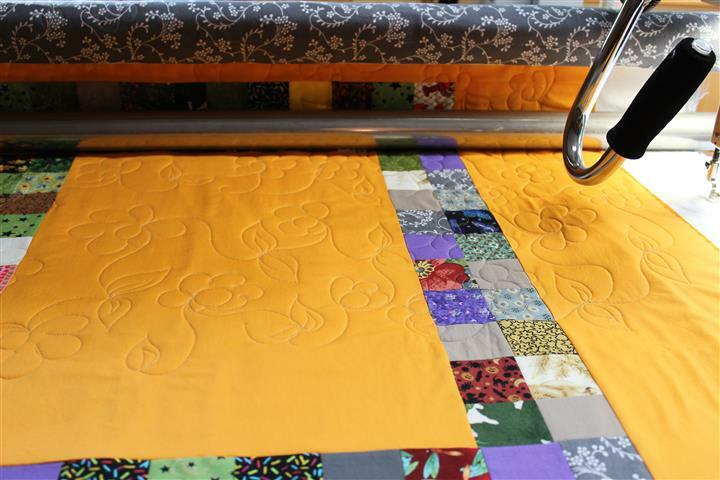 Your quilt top must be clean, pressed well and lays flat to prevent puckering while quilting. Making sure all back seams are pressed flat, points and threads clipped and removed or they may show through later after quilting is finished. Please try to prevent wavy borders. While I cannot accept responsibility for puckers, wrinkles or fullness pieced into the quilt, every effort will be made to minimize them. For my safety and your quilt tops safety, please make sure your quilt top is free of all embellishments: Buttons, Charms, Pins, etc. before submitting your quilt top for quilting. Pins and embellishments can break a needle and throw my machine out of timing and/or cause harm to me and your quilt. Backing Fabric - Always measure and press backing fabric – it should measure 8 inches larger than your quilt top (all sides) – this is very important and leaves enough extra fabric on all sides to be loaded onto my Longarm and secured tightly on all sides for precise quilting. I reserve the right to refuse any unfamiliar backing fabrics such as sheets or decorator fabrics. I highly recommend 100% cotton backing in wide width. If you pre-washed the fabrics in your quilt top it is highly recommended that you pre-wash your backing fabric also. **For my safety and to give you my best work, I will always carefully go through each quilt that goes onto my frame, measure your quilt top before starting and if necessary I will delicately press, snip any threads, and check backings for proper sizing. 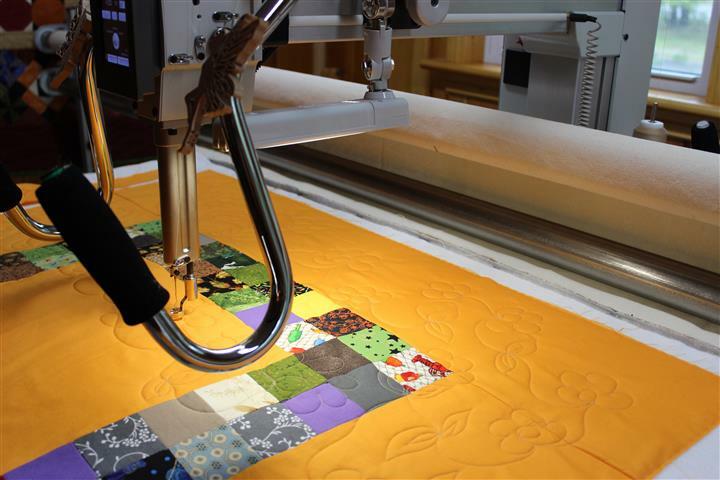 If I feel the preparation of your quilt top needs extensive work to be ready to quilt on my frame, additional charges will apply and brought to your attention prior to starting your quilt.